Gay Pride festivals have been urged to stop booking acts which “perpetuate racist stereotypes” by performing in “blackface”. 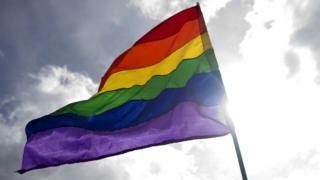 More than 100 LGBT supporters have signed a letter calling it an “embarrassing stain on the community”. It comes after Durham Pride was criticised for booking a woman accused of making her skin look darker to perform as a Beyonce tribute act. The organisers cancelled her appearance and apologised for any offence caused. The open letter, published on the UK Black Pride website, said its signatories were “appalled to witness that Pride festivals across the country continue to book and promote acts that perpetuate racist stereotypes”. It went on: “Blackface is a form of racism that dehumanises black people turning them into objects that can be ‘performed’. The letter suggested ways in which organisers can show their commitment to ending the practice. They include signing up to the Stop Rainbow Racism Code of Practice and consulting with LGBT and ethnic minority groups when planning their events. It was signed by LGBT supporters which include writer Jack Munroe and equalities campaigner Peter Tatchell. Stonewall, the LGBT equality charity, said Pride events booking “blackface” acts was a “serious issue that faces our community”. In a statement, it added: “It has no place in society, let alone at Pride events, where LGBT people and allies should feel free to be their authentic selves. The UK Pride Organisers Network, which brings together organisers of more than 100 events, has invited UK Black Pride to meet its members to ensure ethnic minority diversity. Co-chair Steve Taylor said Pride event organisers “need different parts of the community to help with Pride to make sure we get things right”. ← Are young people struggling to find work?